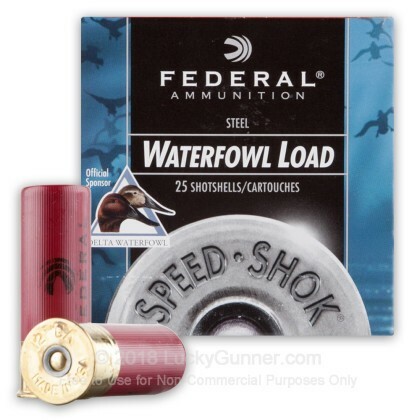 For hunting larger waterfowl at relatively long range, try Federal Speed-Shok 2-3/4" high velocity shells. 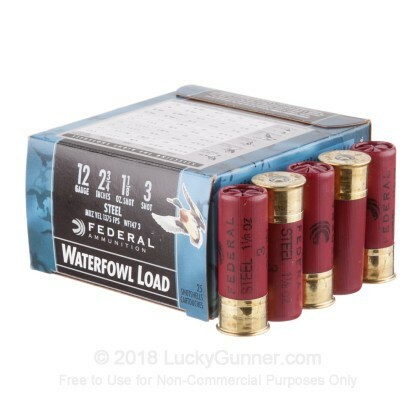 These 12 gauge shells fire 1-1/8 oz. 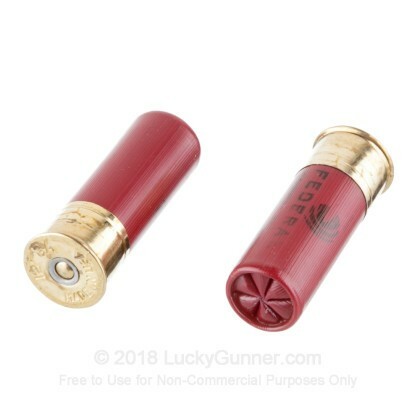 of #3 birdshot at a muzzle velocity of 1,375 feet per second. 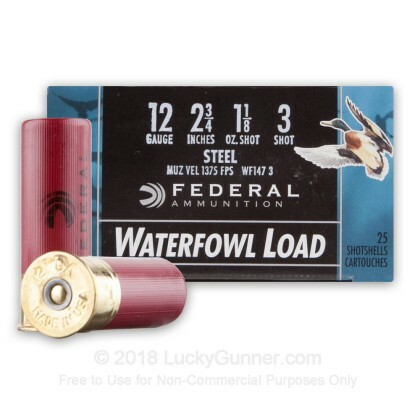 These shells are compatible with virtually any 12 gauge shotgun and fire steel pellets in compliance with laws requiring the use of lead-free shot in sensitive wetland environments. #3 birdshot is about 3.6mm (0.14 inches) in diameter, several sizes smaller than the typical air gun pellet. 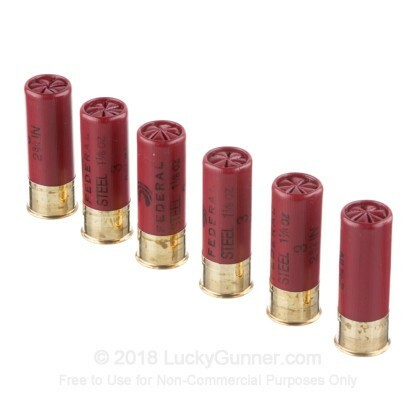 While much more effective against large birds than loads firing #8 or #7.5 shot, #3 birdshot should not be used for self-defense due to its low penetration. 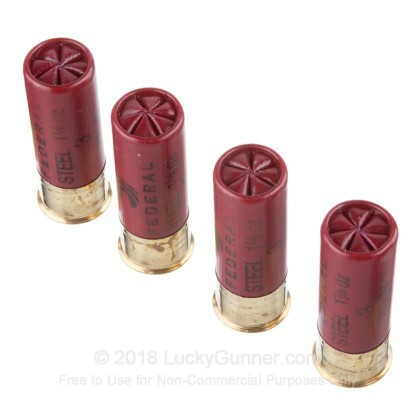 Try our selection of buckshot loads for this purpose. Federal Premium Ammunition is based in Anoka, Minnesota, its home since the 1920s. The company operates as part of the Vista Outdoor group, one of the world's largest shooting-related brands.